Leopoldo López told the seven judges of the Inter-American Human Rights Court in San José on Tuesday the same story he’s been telling the world since 2008. At the height of his political career in 2008, the handsome, 39-year old Harvard educated politician had made a name for himself in Venezuela for his charisma, transparent policies, crime reduction rates and poverty eradication in the Chacao municipality of Caracas. After narrowly winning the mayoral seat of Chacao in 2000, López won re-election in 2004 with 81 percent of the vote and held a 92 percent approval rating by the end of his term in 2008. In 2008, the World Mayor Project ranked him as the world’s 3rd best mayor. That same year, López announced he would run for mayor of Caracas. However, when he tried to register as a mayoral candidate early in the year, he found he had been disqualified “politically” by the state’s Comptroller’s Office. López, who has never been convicted of a crime, was the first witness to take the stand Tuesday in the first day of a two-day hearing. His case against the government of Venezuela is the first time in court history that the Inter-American Commission on Human Rights (IACHR) has presented a case that accuses an Organization of American States (OAS) member state of violating Article 23 of the commission’s charter, which regulates the exercise of political rights. The Venezuelan government appealed that ruling, and the case wound up this week before the Inter-American Human Rights Court. Venezuela’s defense team focused on López’s employment as an economist with the state-owned oil company PVDSA in the late 1990s. The defense team asked López several questions about funds donated to PVDSA during his time with the company. 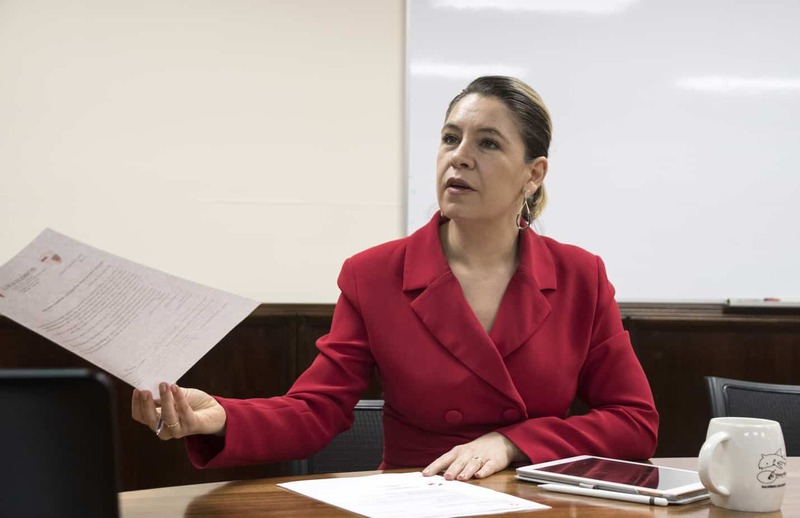 “The donation was approved by the board of directors of the company, was used to execute projects approved by the board of the directors, was approved by the Comptroller’s Office of Venezuela and was audited to assure that it was appropriately incorporated in the company’s budget,” López responded. The defense team asked several questions about the funding of PVDSA and often interrupted López’s responses. López responded by saying that he was one of hundreds of potential political candidates disqualified from running for public office in Venezuela in 2008, and that the group of disqualified people has since grown larger. At the time of his disqualification, López was expected to challenge a member of Venezuelan President Hugo Chavez’s United Socialist Party for the mayoral seat in Caracas. A 2008 Keller & Associates poll showed that in a hypothetical presidential contest, López outpolled Chavez 43 percent to 41 percent, the only time during Chavez’s 12-year presidency that he has been on the losing end of a poll. López has reportedly dodged several kidnapping and assassination attempts in the last 10 years. The court will announce its ruling in May or June.